A family received an unexpected visitor at their doorstep asking for help – and orphaned otter cub. 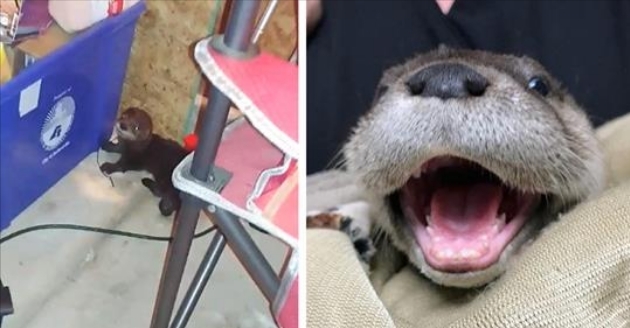 The baby river otter appeared at the Florida home of Tamera-Kay Greenwell while she and her husband were in their garage. The otter walked in through the open door, crying loudly looking for help. They decided the best course of action would be to return her to the nearby creek, believing the otter’s mother would hear her cries and come back for her. But the next morning the baby was back in their garage. That’s when they contacted animal services, who came and transported her to Clay Humane, Inc. 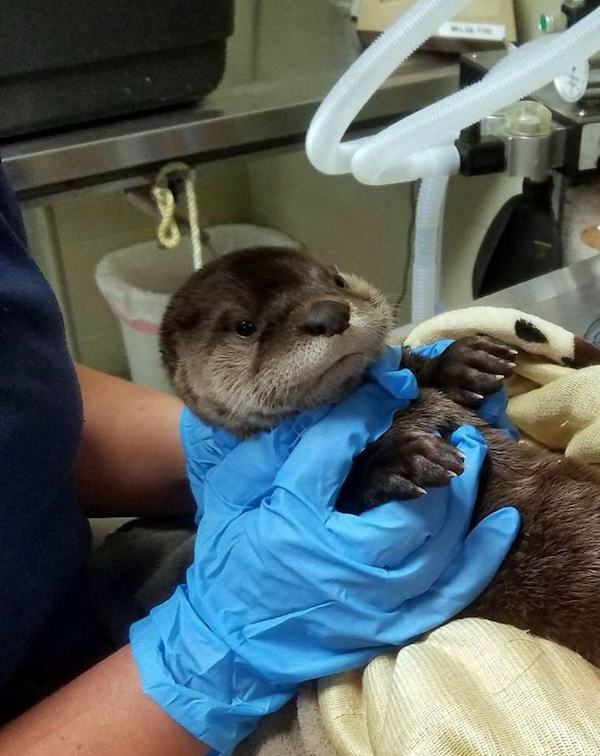 They determined the otter is about 4 to 6 weeks old. She’s now named Daisy. The veterinarians said that Daisy was rescued just in time. Babies her age need to be nursed continually to stay alive. Daisy is now at the Wildlife Rescue Coalition busily being nursed (with mixed milk), and getting acquainted with two other orphaned otters at the facility – Lily and Joey. Now that she’s safe, Daisy will be reared at the wildlife rehabilitation center until she’s ready to be released back into the wild. 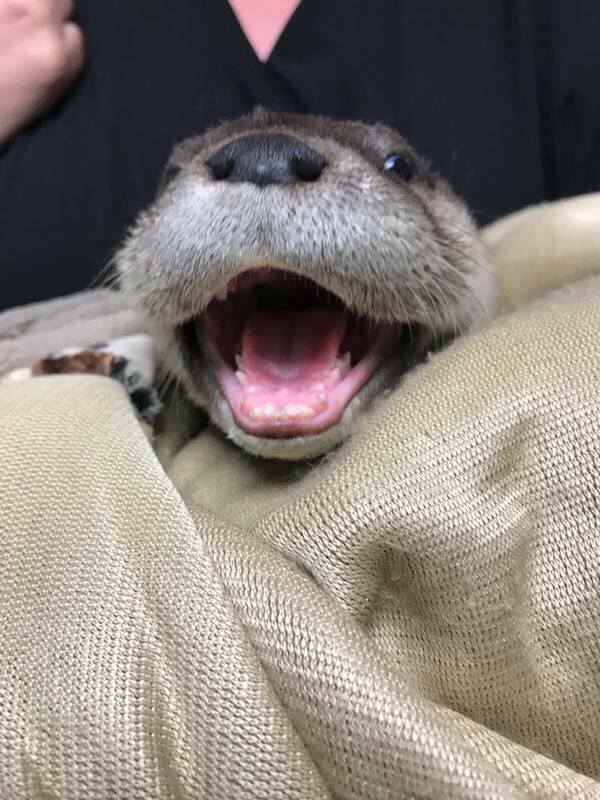 Responses to "Family Help Orphaned Baby Otter That Wanders Into Their Garage"